Lots of summer fruit? Or perhaps you’re still chugging through the rest of last year’s abundant harvest? 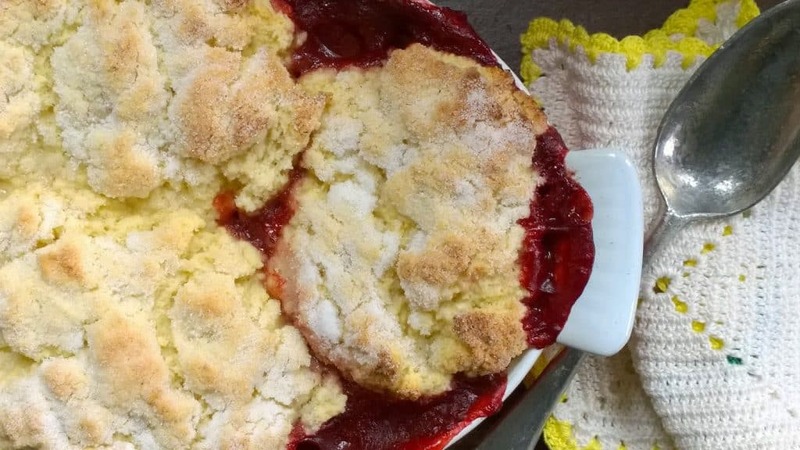 Either way, if you want to use it up quick and radically reduce the amount of fruit lingering about, make my Any Fruit Cobbler. Peach. Nectarine. Strawberry. Rhubarb. Blueberry. Cherry. 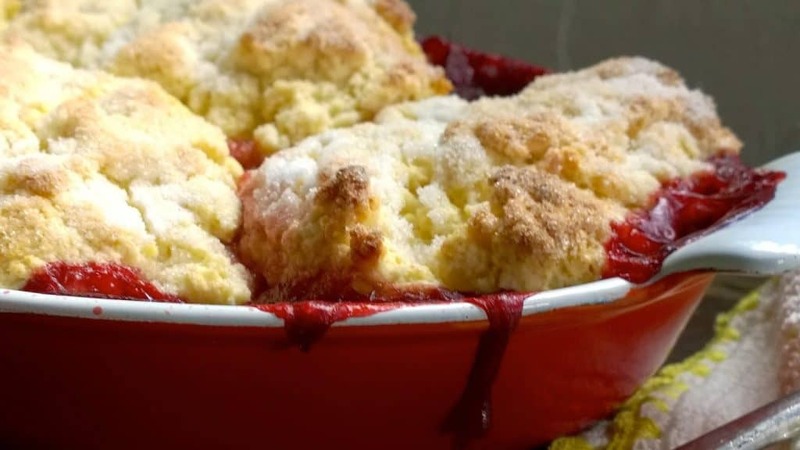 Or any combination, of almost any fruit threatening to overtake your kitchen or go wildly bad, will make a fantastic cobbler. I’ve made strawberry. Rhubarb strawberry. Cherry strawberry blueberry. Blueberry strawberry. Rhubarb blueberry, affectionally nicknamed bluebarb. I’ve never been a fan of cobblers, we were more a crisp family when I was little, that habit just stuck. Me and ruts? We go way, way, way, way back. This spring I got to thinking about crisps and how dessert-y they feel and how I really wanted to move beyond fruit desserts to something else, less end of dinner and more middle of the day, perhaps. There was no way I would whip a crisp out for a breakfast or brunch but a cobbler? 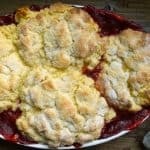 Yeah, I can see that, because in the end a cobbler is really nothing more than fluffy biscuits and hot jam baked together. We are down with hot jam and biscuits any day, so I set out to make cobblers and use up the frozen fruit I still had from last year. I used up every bit of fruit in the freezer making cobblers and that rolled us right on to summer fruit, which I have a lot of. 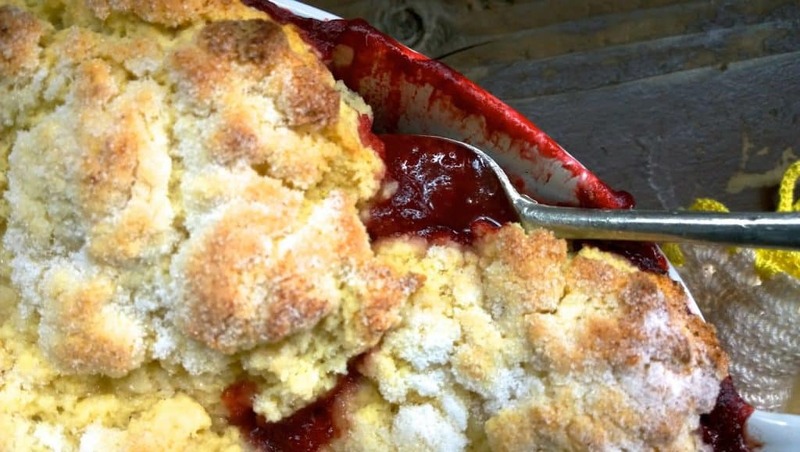 Cobbler for breakfast anyone? Everyone? Lots of summer fruit? Or perhaps you're still chugging through the rest of last year's abundant harvest? Either way, if you want to use it up quick and radically reduce the amount of fruit lingering about, make my Any Fruit Cobbler. I am making this cobbler for dinner tomorrow, but I don't want to do all of the work while I have company. Could the filling and topping be made and refrigerated tonight and assembled and baked tomorrow evening? Thanks! while it warms finish the biscuits in the processor and pop them on top of the fruit once it's warm–the filling doesn't need to be a roaring boil but it should be warm! That’s the nice thing about crisps and cobblers is their versatility. 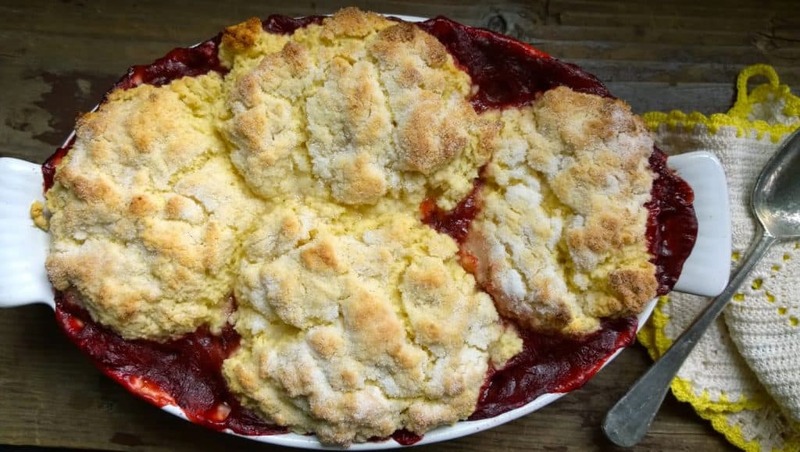 This is such a great recipe because it’s so true – cobbler can be made with whatever fruit is fresh and handy!